Last week, the Ontario Court of Appeal broke new ground in the area of privacy law, creating a new right to allow people to sue each other over an "intrusion into seclusion." CBC lawyer Sean Moreman explains the ramifications. 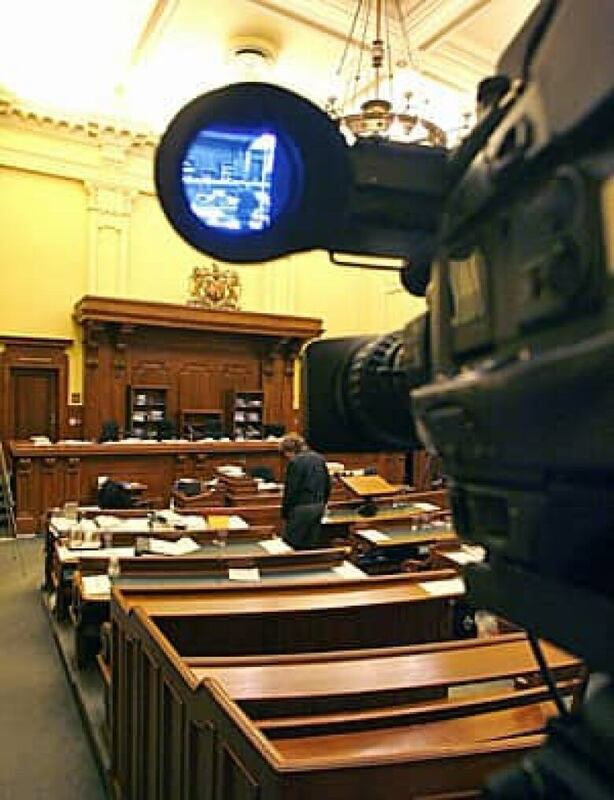 Last week, the Ontario Court of Appeal broke new ground in the area of privacy law. It made it possible for individuals to sue each other for what it called an "intrusion into seclusion," an element of what most of us would call invasion of privacy. Although the Charter of Rights and Freedoms has been interpreted to include a right of privacy (in the prohibition against unreasonable search and seizure), and there are several laws in Canada that discuss the notion of privacy (among them the federal Privacy Act and Personal Information Protection and Electronic Documents Act, and Ontario's Freedom of Information and Protection of Privacy Act), these laws have normally served to protect private citizens from intrusions into their private lives by government or by big business. The Ontario ruling effectively creates a new tort — a new wrong, with specific definitions and limitations attached — to allow an individual to sue another person directly for violating his or her personal information. Assuming this new tort is not struck down, what it means is that if something like Britain's cellphone-hacking scandal were to take place in Canada, there would now be a direct recourse for someone whose privacy was invaded to sue the reporter or media boss who made away with this personal information. The twist here, however, is that in order to keep frivolous suits to a minimum, the Ontario court is setting out very low damages, which may not act as much of a deterrent. In this case, the defendant and plaintiff were colleagues at a major Toronto bank. The defendant, Winnie Tsige, had started dating the ex-husband of the plaintiff, Sandra Jones, and subsequently fell into some dispute over money with him. As part of that lovers' quarrel, Tsige accessed Jones's personal bank account records approximately 174 times over a four-year period to see whether she was receiving child-support payments from her ex-husband. Though why this was important to her remains a bit of a mystery. When she became suspicious, Jones told the bank and Tsige confessed to her superiors what she had done and appears to have been truly upset by her own conduct. The bank suspended her for a week without pay, and denied her a bonus for the year. Although the bank seemed to be dealing with the problem, neither of the remedies it provided served to compensate Jones for the invasion of her privacy, so she sued and was asking for $90,000 in damages. Faced with this situation, the court had to ask itself two questions: First, was someone even allowed to sue another person for an invasion of privacy under the laws of Ontario; and second, if a suit could be brought, how much money should be awarded for that intrusion? In writing the unanimous decision, Justice Robert Sharpe noted that this first question has been bandied about in the courts for the last 120 years without a clear answer. He also pointed out that existing laws would do nothing to compensate the wronged party in a case he thought cried out for a remedy. At least five Canadian provinces (B.C., Saskatchewan, Manitoba, Quebec and Newfoundland and Labrador) as well as many American states allow individuals to sue other people for an invasion of their privacy. But none of those jurisdictions define exactly what an "invasion of privacy" is, which is what the Ontario court set out to do. After an exhaustive look at the state of the law in Canada, Australia, New Zealand, the U.K. and the U.S., Sharpe and his colleagues settled on the following rule: "One who intentionally intrudes, physically or otherwise, upon the seclusion of another or his private affairs or concerns, is subject to liability to the other for invasion of privacy, if the invasion would be highly offensive to a reasonable person." In other words, if you start snooping though my stuff, either in person or through some electronic means, I might be able to sue you. I say "might," as the last part of the definition is very important. The Ontario court wanted to make sure that judges would not be flooded with claims from people who might be overly sensitive about their personal space. So, to clarify the situation, the court said that only intrusions into things like one's financial or health records, sexual practices and orientation, employment, diary or private correspondence would qualify as "highly offensive" for the purpose of the test. It also made it clear, without going into great detail, that there would be other times where the invasion of a person's privacy would not result in a successful claim. So what does all this mean for you when your neighbour starts rooting through your recycling — how much money can you recover in damages? Well, that is where Judge Sharpe threw a bit of a wet cloth on any great expectations. In her case, Jones was suing for $90,000, but the Appeal Court reasoned that damages for invasion of privacy should rarely be higher than $20,000, and even then only in the most serious of circumstances. In the end, Jones was awarded only $10,000. Her lawyer, Christopher Du Vernet, told CBC that he is happy the courts have recognized that people should be able to sue for breaches of privacy, but he expressed his disappointment at the cap on damages. He believes that some people or organizations will see a $10,000 damage award as merely "chump change," well worth the cost to get hold of some juicy information on, say, a business rival or a celebrity or political opponent, which might have much more value in the long run. Both the parties in this case will have until mid-March to decide whether they want to try to appeal the decision to the Supreme Court of Canada.